Vatulia, Oleksii [Vatulja, Oleksij], b 14 August 1891 in Trubaitsi, near Khorol, Poltava gubernia, d 20 May 1955 in Kyiv. (Photo: Oleksii Vatulia.) Stage and film actor. He completed study at the Lysenko Music and Drama School in Kyiv (1916) and then played in Molodyi Teatr (1917–19) and was one of the founders and a leading actor of the Kyiv Ukrainian Drama Theater (1920–55, except 1927–8, when he worked in the Kharkiv Chervonozavodskyi Ukrainian Drama Theater). His repertoire ranged from roles in ethnographic plays to the title roles in Sophocles' Oedipus Rex and E. Toller's Hinkemann. 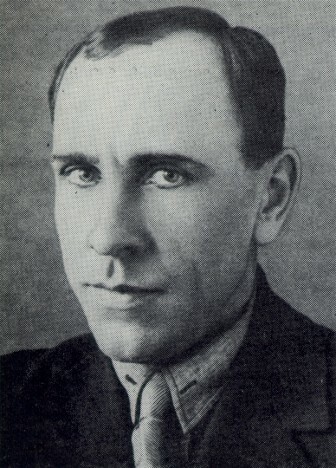 He acted in the films Kira Kiralina (1928) and Neskoreni (The Undefeated, 1945) and was well known as a reciter, particularly of Taras Shevchenko's poetry.